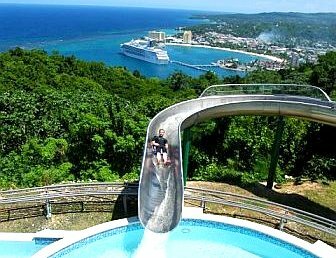 Our adventure begins when you are picked up for a leisurely ride along Jamaica's scenic and picturesque north coast to Ocho Rios Mystic Mountain. 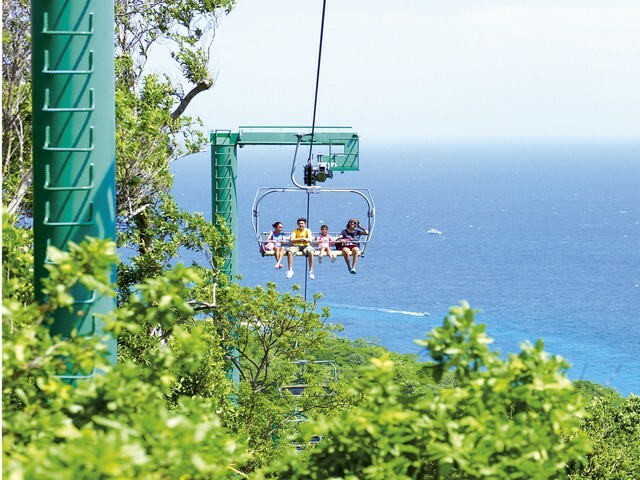 Embark the Sky Explorer chairlift for a picturesque 15-minute ride through Jamaica’s tropical canopy where several electrifying adventures await those hunting for the latest in excitement. 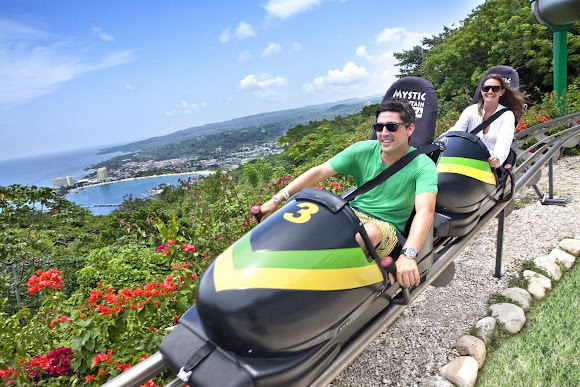 Drive your very own bobsled down the mountain on the Jamaica Bobsled ride, Traverse the rainforest on the zip line adventure, glide down the waterslide to the infinity pool and dine to spectacular views at the R2 restaurant. Mystic Mountain offers a medley of different ways to experience the jungle that are guaranteed to get the whole family buzzing with pleasure. 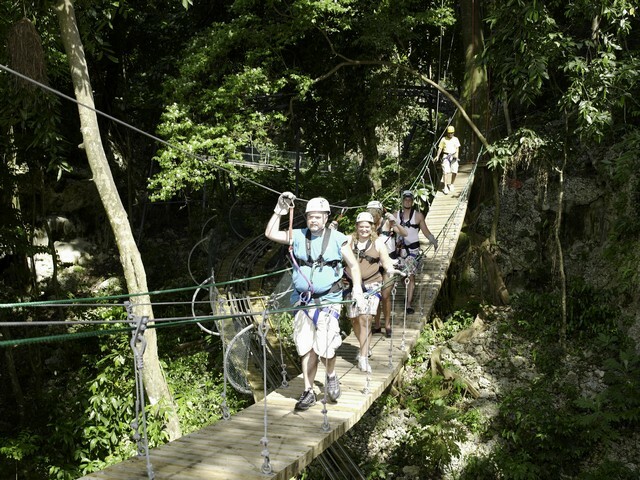 Other Mystic Mountain escapades include the Rainforest Zip line Canopy Tour, another exploit definitely worth trying. This amazing combination of five zip lines allows ‘zippers’ to glide 170 meters through the jungle at a near vertical descent of 10 meters before landing on a wooden platform which doubles as the mid-station of the Rainforest Sky Explorer. • Private tour...no waiting for others! Everything was great, except we were only allowed to ride the bobsled once. They said we’d have to pay to ride again. So that was pretty disappointing! On behalf of my friends and I, I would like to say that we had an amazing time! All the excursions awesomely met our expectations. We absolutely loved our driver, he was courteous accommodated all of our needs and remained professional at all times. When we return we will most definitely book again. We enjoyed the Mystic Mountain Rainforest tour. During the drive from Montego Bay to Ocho Rio our driver/tour guide, provided lots of info along the way and pointed out many different things we would have otherwise missed. 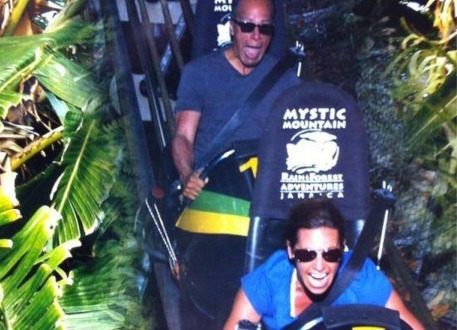 took the Mystic Mountain bobsled adventure from Montego Bay to Ochos Rios and it was great. The ride could have been a little longer but not a lot of walking which helped me with bad ankles. Our driver was awesome. We talked a lot and very friendly. Told us about history of Jamaica. Would love to have him as a driver again if opportunity arose. Jaital was very helpful when I booked for a few then kept adding people to our excursion. Thank you for your help and questions that I had and also my changes. Booking with Jaital was easy and we felt secure during the booking process. Someone always answer our many questions. The tour was exactly as advertised on the website and they got us back to the ship on time. Great work Jaital! We will tell everyone about your service! Excellent customer service!!! We had an amazing day! Thanks! Jaital did a fantastic job!!! The driver took us straight from the port to Mystic Mountain Rainforest and waited on us. He was very knowledgeable and provided us with much needed information. 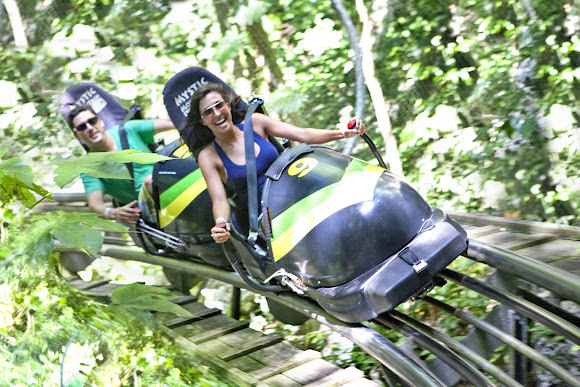 We love the bobsled and we had a blast on the zipline. 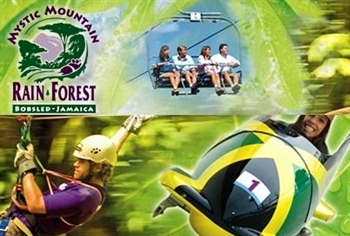 Hey Jamaican Friends: On January 3, 2015, we did all the activities at Mystic Mountain and Dunn\'s River Falls. IT WAS ABSOLUTELY AWESOME and your driver, VERNON, was THE GREATEST !!! I will definitely recommend your services to anyone traveling there and I, too, will rebook with you. Have a GREAT Day and looking forward to our next visit!! we had a wonderful experience in Montego Bay. Allan, our driver from jaital... took us on our tour to Mystic Mountain and tubing down the white river. He was absolutely excellent and we were thrilled that we were able to adopt such a kind, respectful, happy, courteous, friendly person for the day. We left ourselves in his hands to take us (family of 4) on our tour and we thoroughly enjoyed ourselves. We would highly recommend jaital to anyone and would also highly recommend Allan. Thank you for your excellent, professional, friendly service...we truly appreciate it! we had a good experience with our Mystic Mountain and Dunn\'s River Falls exursions. Our driver was excellent and informative and is a genuinely very nice person.